One of the most common reasons for giving into cravings and getting off track when you’re trying to lose weight is hunger. When those pangs hit, it can be nearly impossible to resist unhealthy snacks, especially when you’re feeling lightheaded and can’t think clearly. Having a convenient, nutritious meal replacement like these IsaLean Bars at your fingertips can help you to stay on track and prevent damaging all your hard-earned efforts. Research has found that dieters who use meal replacements lose an average of double, and sometimes even triple, the amount of weight as those who don’t. NEW! Lemon Passion Crunch Flavour Now Available to Order! Order as a retail customer or take advantage of lower prices when you ‘sign up and save’. As a member, you’ll get reduced prices on all Isagenix products and will quickly save the small annual membership fee (just $25 on the no-obligation autoship program). 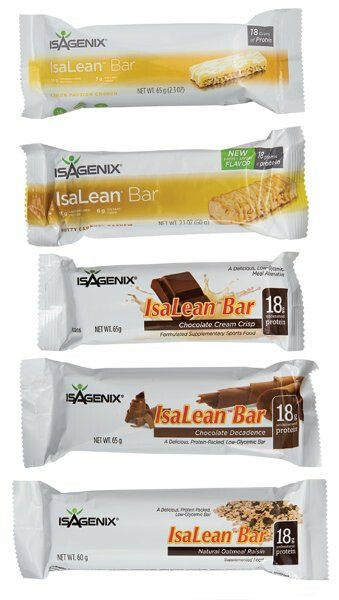 IsaLean Bars include all of the same great benefits of the IsaLean shakes that you love, wrapped into a delicious bar. Each one is packed with nutrition; containing everything you want without potentially harmful ingredients like trans fats. High quality, undenatured whey protein from pasture-fed cows not treated with hormones or antibiotics. With 18 grams of this premium protein, these tasty bars help you feel more satisfied and work to help suppress hunger between meals, too. Consuming protein also increases the calorie burn during digestion, further boosting weight loss efforts as it takes more energy to digest protein than it does to digest carbs. Balanced amounts of healthy fats and energy-fuelling carbs, helping to lower your daily calorie intake without harming your health or sacrificing taste. Low-glycemic to help regulate blood sugar levels. Superior amino acid profile and lower lactose levels, making them easier to digest (with high levels of nutrient bio-availability). Each bar offers balanced nutrients, maximising nutrition and minimising calorie intake to support weight management. Many people think they have to sacrifice flavour if they want to achieve an ideal weight and optimal health - but with IsaLean Bars, you don’t have to. No matter how healthy something is for you, it doesn’t help much if you don’t want to eat it. Trying to choke down something that tastes like cardboard isn’t a very good way to feel satisfied either. Fortunately, IsaLean Bars come in a variety of flavours practically guaranteed to satisfy your cravings and help you stick to your health and weight loss program. Please note: The flavours above are currently available in Australia; additional options are available in the USA and Canada. Whether you’re dreaming of chocolate, mum’s homemade cookies or lemony goodness on a hot summer day, IsaLean Bars are the perfect solution that can positively impact your health, suppress your appetite, and taste great too. The bars make a great substitute for the IsaLean shakes when you’re just craving something a little different, an added snack to any of the full nutritional cleansing programs or your regular diet regimen. 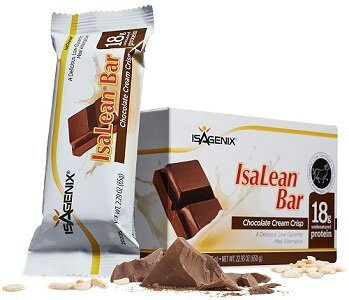 Can I use an IsaLean Bar as a snack rather than a meal replacement? Yes, these bars make a great ‘on the go’ snack. If you want to reduce calories, you can enjoy half a bar (simply cut through the packaging with a knife). If you are wanting to increase calories, a bar can make an excellent ‘extra meal’. What is the difference between this product and other weight loss bars on the market? There really is no comparison! For a start, the IsaLean bar contains 18 grams of superior quality protein, and a balanced ratio of slow-release carbohydrates, healthy fats and other important nutrients to help fuel your day. Unlike most competitors’ products, you’ll find no fillers or artificial ingredients. The glycemic index measures a food’s impact on blood sugar. A product, or ingredient, which scores low on the glycemic index will cause a much smaller spike in blood sugar than a high scoring one. Low-glycemic foods have been shown to help with weight loss, reducing inflammation and a range of other benefits. Make sure you’ve packed a bar in your bag so you have access to a healthy meal wherever you go! Enjoy a full bar to replace a meal, or half a bar as a nutritious and filling snack. 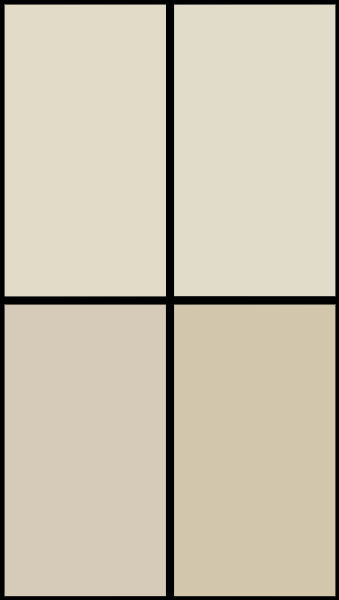 Please click on the links below to view the full ingredients list. Please click on the button below to start your Isagenix order. 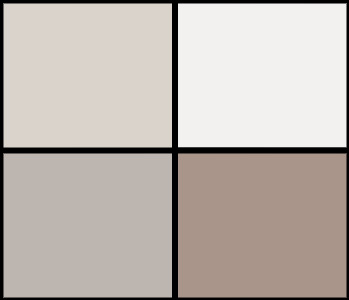 If you have any questions, please contact us by phone or email - we'd love to hear from you.